It's been a while since I have made anything derby related, but when I heard that Genre would be having a derby round, I had to jump at it! I was applying anyways, but BONUS! Unfortunately, my whole family and I were sick for a long while, so I was unable to get as many things ready for the event as I would have liked. I did manage to get one finished though! 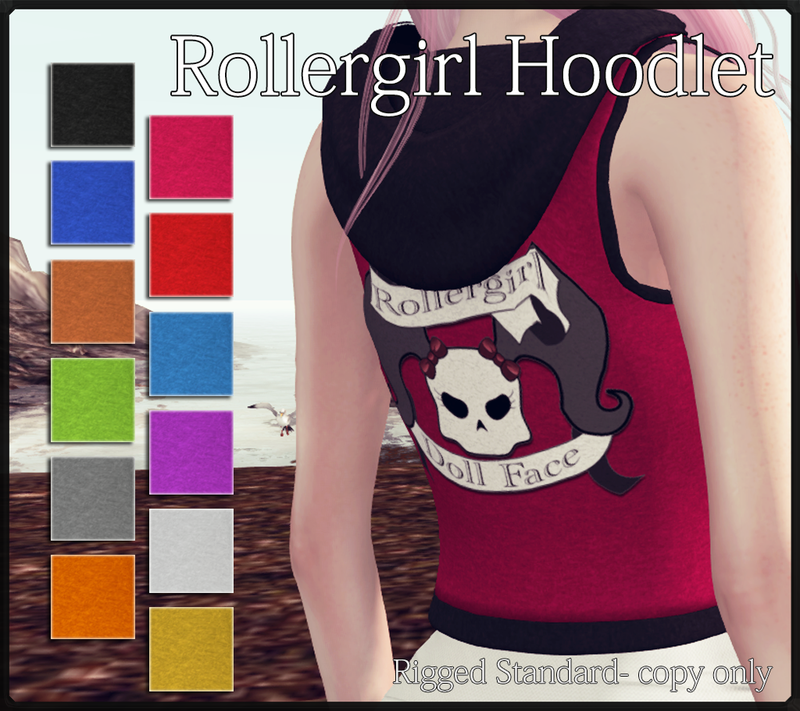 Introducing the Rollergirl Hoodlet! Complete with custom logo on the back! They are 100% original mesh, and come rigged in standard sizing. There are 12 colors available, so be sure to try out the demo first! 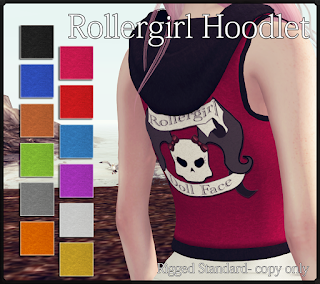 Also, check out the rest of the shop items out now at Genre!